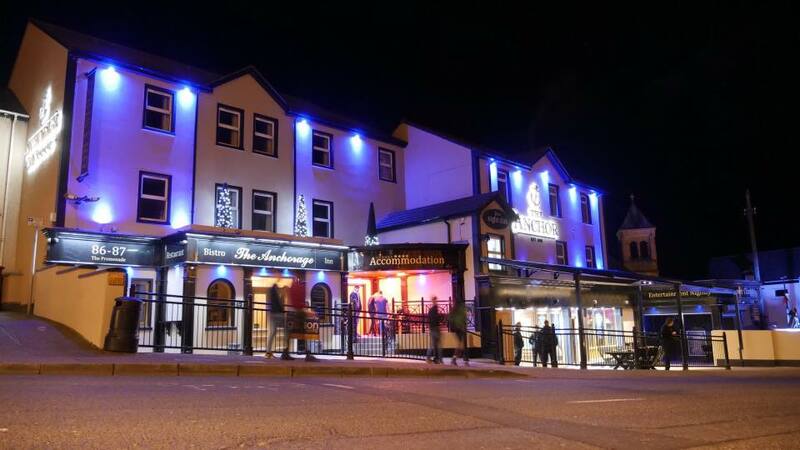 The Anchor Bar Complex, Portstewart, the location of the infamous UUC RFC Social nights are held here! Situated on the main promenade in the picturesque town of Portstewart and only 3 miles from the shopping town of Coleraine, the Anchor complex incorporating the *** Anchorage Inn, Inishowen Business Suite, Skippers restaurant, Award winning Anchor Bar & Club Aura, is well known throughout Ireland for its convivial atmosphere, friendliness, popular business venue and of course great Guinness. Want to sponsor a UUC RFC? Please contact us via the website.